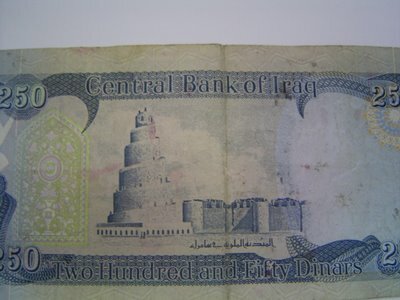 A friend of mine recently made a trip to Iraq and brought me back some of their money. On the back of this 250 Dinar note is the Tower of Babel. I find that absolutely fascinating.